We’ve come around several issues with Icinga 2 v2.7.0 and fixed them with this new v2.7.1 release. It also contains other bug fixes requested by Icinga partners and their customer support (Livestatus, DB IDO downtimehistory). 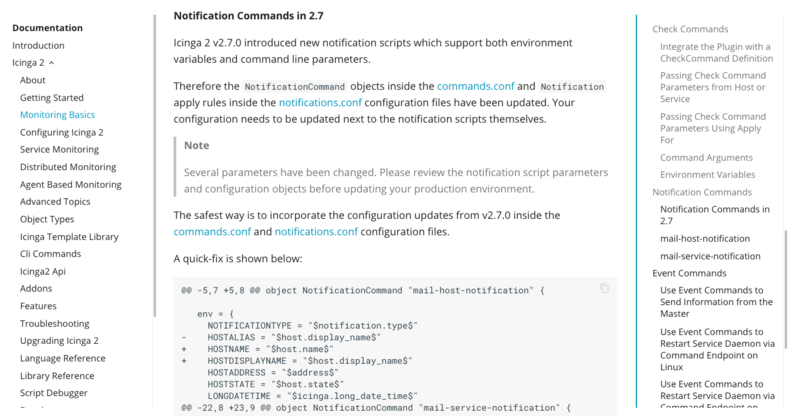 You may have recognized that Icinga 2 v2.7 introduced new notification scripts. These came out of the interest we’ve seen in community scripts. 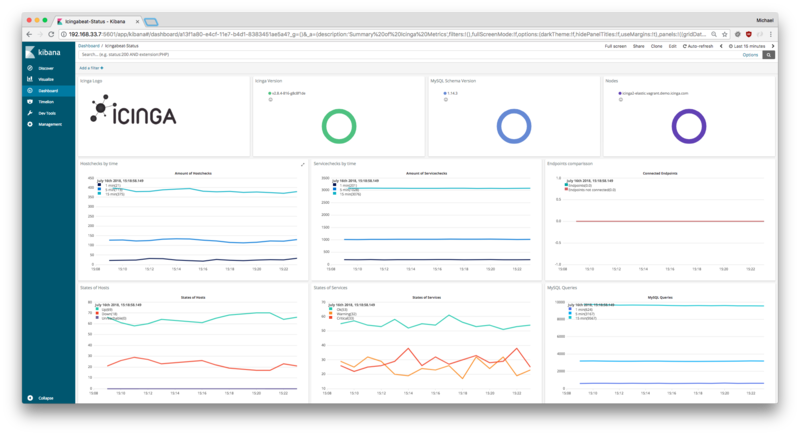 So we decided to bring these scripts into Icinga 2 v2.7 making them available for everyone. The scripts were designed to act as drop-in replacement with old 2.6.x configuration. Unfortunately several environment variables had been renamed. Testers didn’t catch this, so here is a summary for you what to fix and change in your scripts during an upgrade. Note: These changes will be released in 2.7.1, still this requires your manual interaction beforehand. This advisory is to keep you informed and your notifications safe.